When they dig down to it, they discover it's not human - it's alien. And its secrets are worth killing for. I could not stop listening to it! As my life has gotten busier over the years it has been a struggle at times to keep an interest in a story and complete it. This story flew by and it was no little sadness that I finished it. I am looking forward to reading the next book in the series. Another great book 0 by Robertson. Makes me so glad I stumbled onto his novels and have yet to be disappointed by his work. Cool world, simple story. Worst narration. This world has potential and really gets my hopes up for more. However the story is quite simple and all characters seem very flat to me. Everything feels like a short story with a cool seed to a wonderful idea rather than an actual book. The narration though... it’s horrible. He does this inward breathing voice for a few chapters and personally I just can’t make out what he say. Every other character has the rasping whisper of a 60year old drunkard. Which in a way could relate to one or two of the characters but not all. It’s also so damn slow! Clever clever clever. One again amazed. For a younger author I am ever more impressed. I am surprised about Mr Robertson's depth and insights even though his no doubt public education views slip in time to time. I have been recommending him to every reader I know. If you are listening not reading, Ray Chase is equal to the task and delivers this book as good as all the others. Well done and thank you. But how do you conclude a series that is done? This one can teach you, with the potential of tidbits and treasure from the first. Breakers is not a prerequite, start here to began, with the older series later. either way this is worth acquiring. 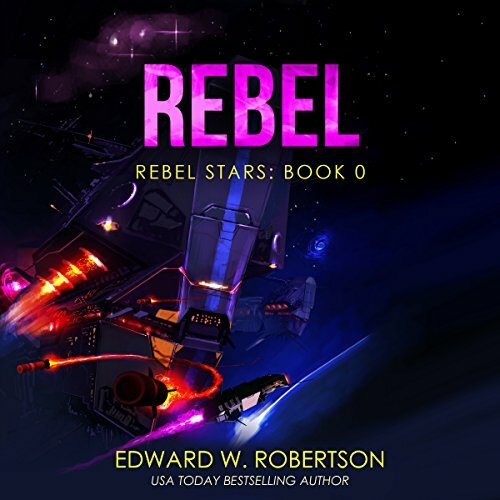 This was the first Edward W. Robertson book I have read via Audible, and I thought the narrator Ray Chase did a great job. No time to wax poetic, time to jump in and Read/Listen to Outlaw (next book in the series) to see what happens next! Narrator turned it into crap. It was like he was doing mellow, soothing meditation while describing killing & shooting scenes.